Comfortable. Contemporary. Spacious. Tap into the rock star inside of you at Hard Rock Hotel & Casino, a hotel experience that brings together quality and edge against the backdrop of mesmerizing views of Lake Tahoe. 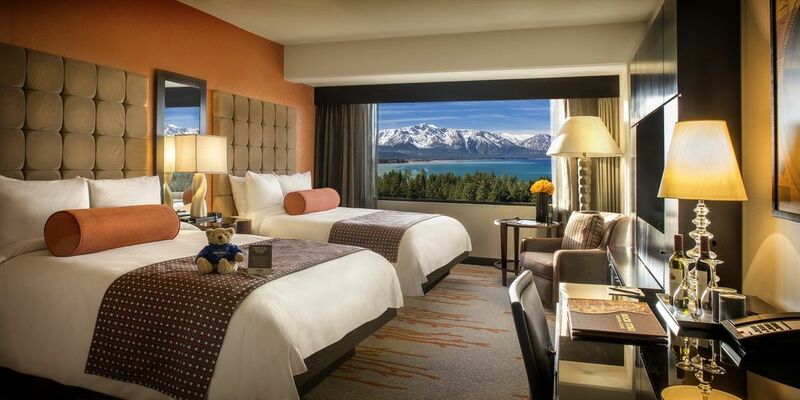 Situated in the entertainment district, this hotel is within a 10-minute walk of The Shops at Heavenly Village and Heavenly Gondola. Heavenly Ski Resort and Lakeside Beach are also within 3 mi (5 km). Along with 2 restaurants, this hotel has a casino and an outdoor pool. Free WiFi in public areas and free valet parking are also provided. Other amenities include 4 bars/lounges, a fitness center, and a coffee shop/café. All 539 rooms offer free WiFi, room service, and flat-screen TVs with cable channels. Guests will also find premium bedding, free local calls, and hair dryers.